Here’s why: Belsay is the perfect place to discover how architecture and garden design developed across several centuries. The Hall has all the elegance and symmetry of a Greek temple and was designed in 1807 by Sir Charles Monck on return from his two year long European honeymoon. The Hall’s unusual Quarry Garden was also carefully planned by him to produce a feeling of drama and excitement and it still does. 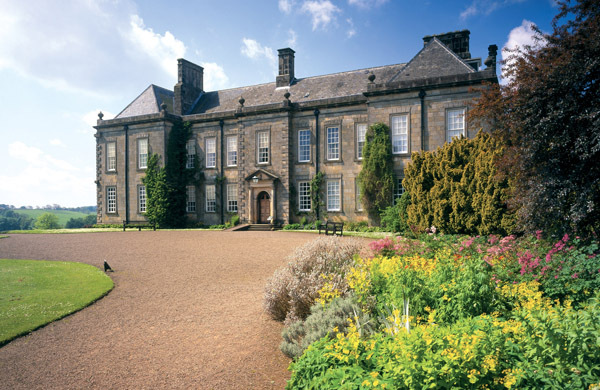 Here’s why: Lancelot “Capability” Brown (1716- 1783) was born at Kirkharle and educated at nearby Cambo village school. Responsible for transforming the landscapes and gardens of 18th century England, he earned his unusual nickname after discussions with his clients on whether or not their landscape had “capabilities” of being transformed. Enjoy lunch at the café or treat yourself to a local craft whilst discovering more about Mr Brown and his achievements. Here’s why: Fabulous house with all the trimmings and elegance of the 18th century including fine furniture, paintings and china, and a truly lovely English walled garden to simply fall in love with. Miss it and regret it. Here’s how: B6342 (n) – Cambo – continue on B6342 (n) – in approx. 1 mile look for signs leading right to Herterton House Gardens. Here’s why: Because at Herterton you get five gardens in one acre. The creation of two people over the last two decades, Herterton is the result of a labour of love.